The Horchata Made Me Do It! Well, summer is officially here, and temperatures are continuing to rise in Portland. It’s warm at home and it’s doubly horrendous when you work in a hot kitchen all day. 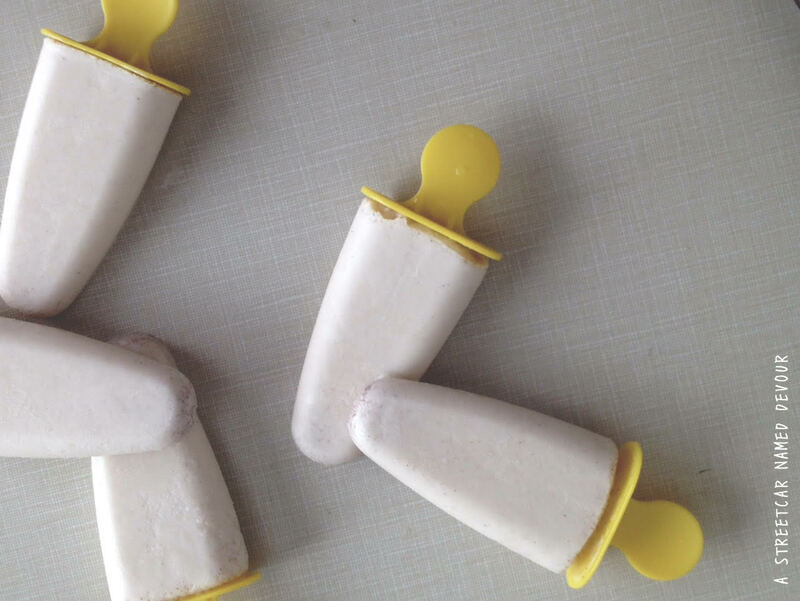 On my day off last week, I made these Mexican Horchata popsicles to help cool down. 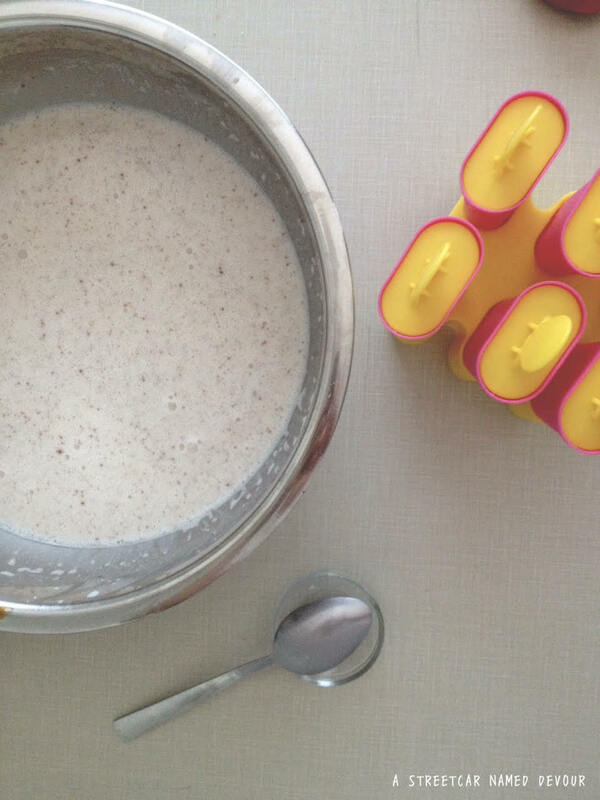 (And who doesn’t like horchata? It’s so freaking delicious!) I had some leftover horchata base at home and decided to bring it to work to treat my fellow co-workers. When I started pouring glasses of the Horchata and distributing them to the prep kitchen, more of my fellow cooks came up to me, asking for a glass. Unfortunately, I hadn’t prepared for such a demand and only had enough to feed a few of my co-workers, so I had to think fast and bulk up the batch I had made on-the-fly. I slowly went down the line and passed glasses of the ice-cold Horchata I had made to all the line cooks. Even in 100-degree weather and a full house of diners (in arguably one of the busiest restaurants in the city), the guys didn’t hesitate to take a second and gulp down that ice-cold cinnamon sweetness. In just a matter of seconds–faces full of sweat, and urgency turned into big smiles of pure delight and relief. When I returned to my station and went back to work, in a matter of moments I heard calls for more Horchata. 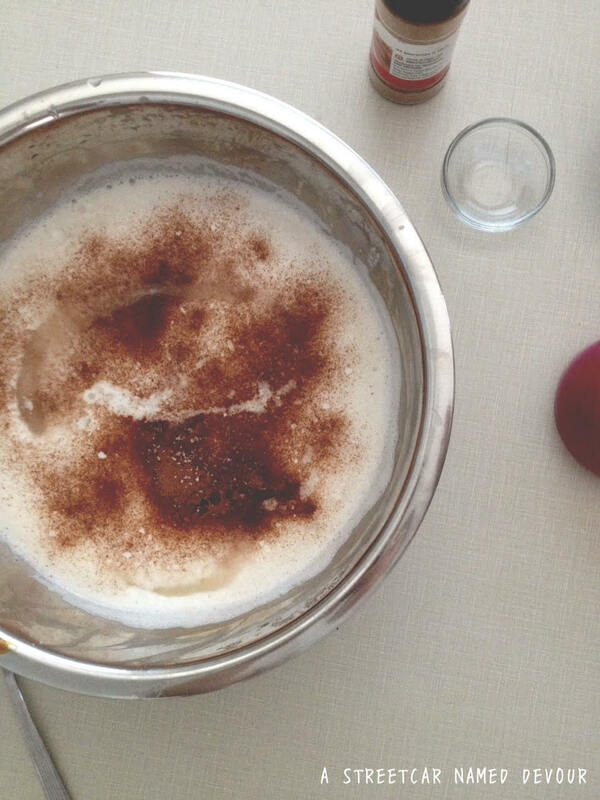 “I’m gonna need more of that cinnamon drink,” said one. “That was the best Horchata I’ve ever had,” said another. “This is my first Horchata and I know it’s the best one I’ll ever have,” exclaimed another. And then my sous chef came up to me and pleaded that I make Horchata for all the Back of House once every week. OK, alright. That’s a deal. 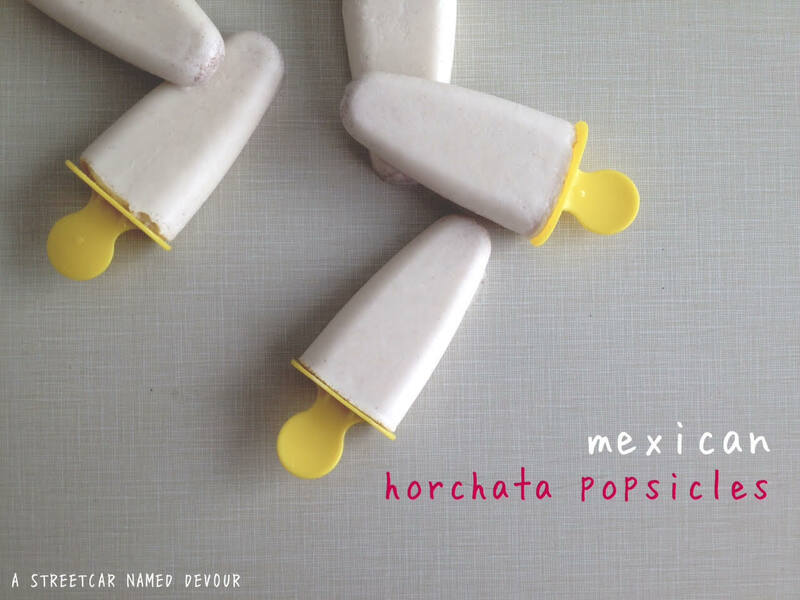 While this Horchata mix is clearly delightful on its own, freezing them into popsicles makes them even more appealing, especially in 3-digit weather. 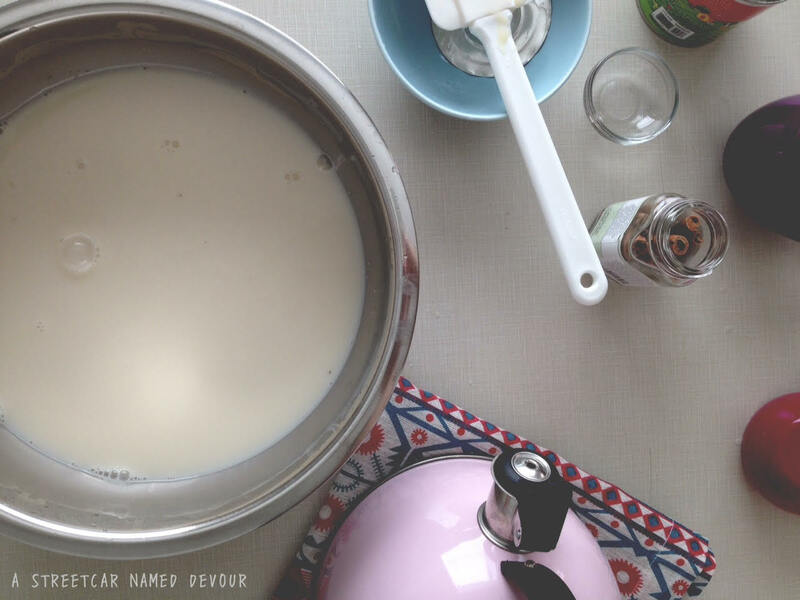 Place the rice, hot water, sweetened condensed milk, coconut milk, and cinnamon sticks into a large bowl. Stir the mixture to combine well. Cover the bowl tightly with plastic wrap at room temperature for about 1½ hours. 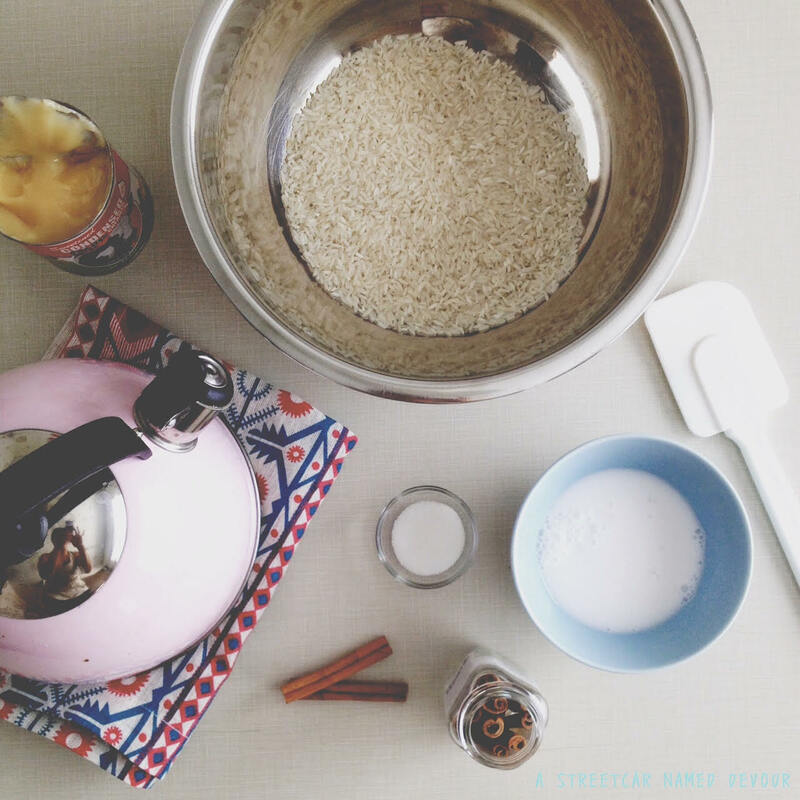 Discard the cinnamon sticks and strain the rice, reserving the liquid in a separate container. 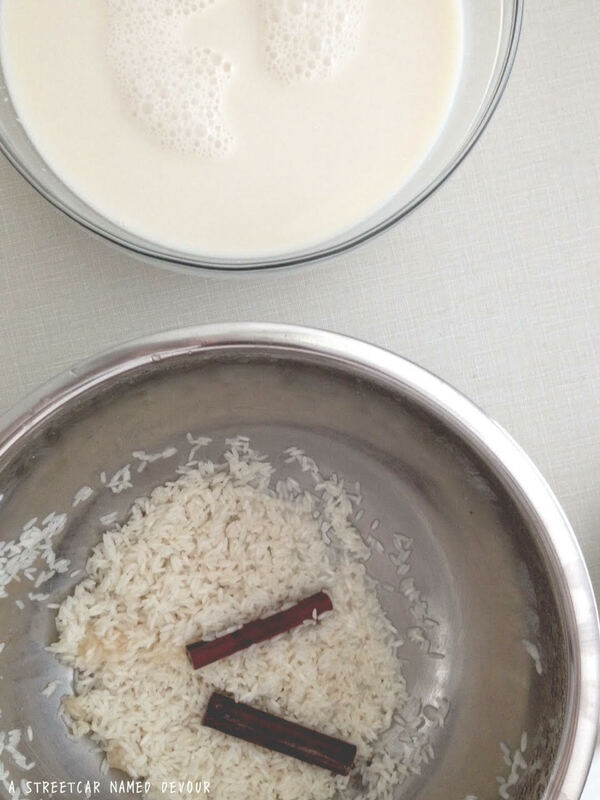 Place the rice in a blender or food processor. Blend on medium-high till the rice is pureed and smooth. Slowly add in the reserved liquid. 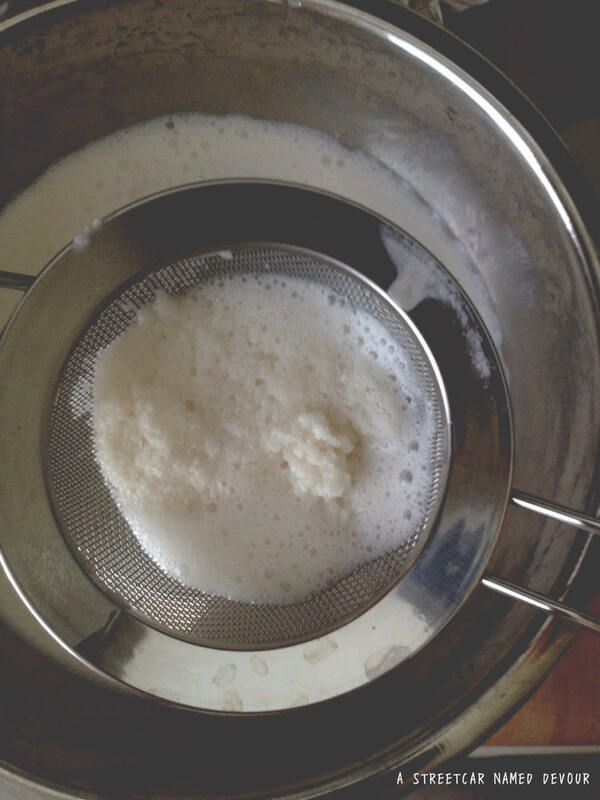 Once all of the liquid has been pureed, strain through a fine-mesh sieve. Discard rice paste remnants. Stir in the ground cinnamon, sugar, salt, and rum to the strained mixture. 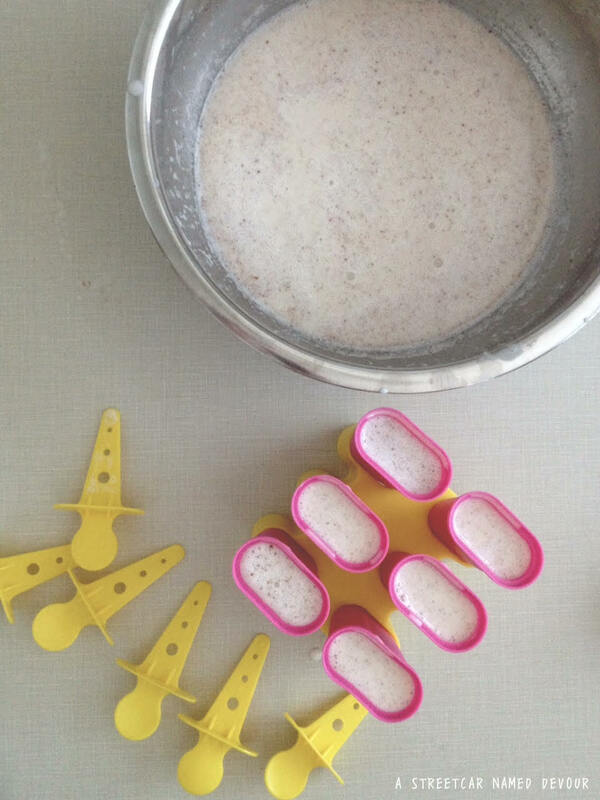 Place the horchata mixture into popsicle molds. 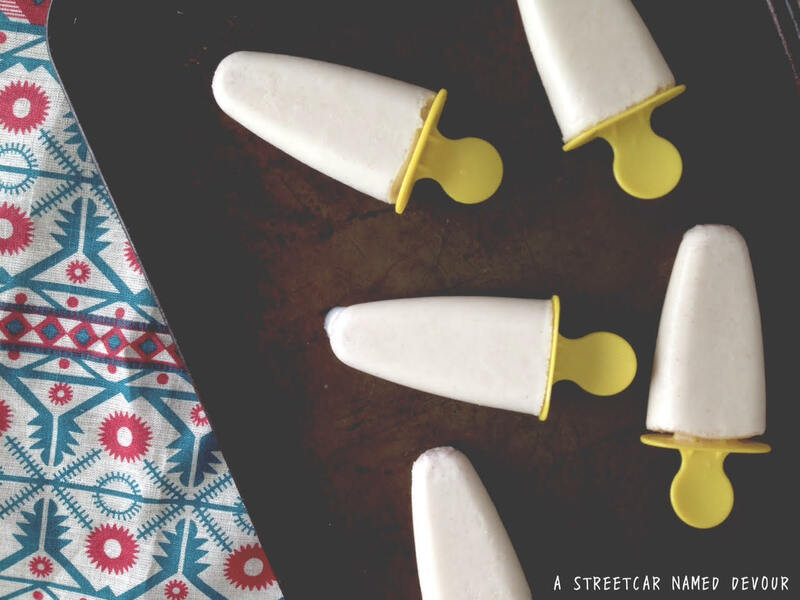 Set popsicles in the freezer for at least 5 hours, preferably overnight before serving. 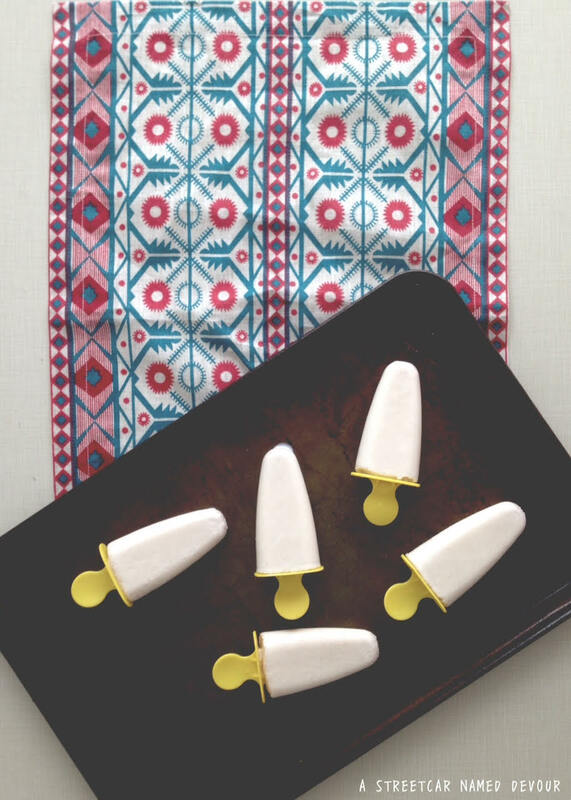 When ready to serve, gently run cold water on the outside of the mold to loosen and release popsicle.